Believe it or not, during the Second World War there used to be a secret RAF hospital on the site of Fairwood Park’s clubhouse acting as a refuge for the sick and wounded. Today’s golfer however, will find no such respite on this jewel of a course situated deep within the Gower peninsula. 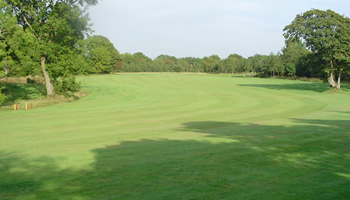 For although it may be a flat course, Fairwood Park is one of the most challenging on Gower, and at 6,700 yards it is certainly the longest. Ultimately it’s the bewildering array of trees lining each fairway that make Fairwood a first class parkland course and it’s also these very same trees that continually lie in wait, ready to punish the wayward golfer. Add a plethora of lakes and strategically placed bunkers into the equation and you’ll begin to understand why so many visitors keep coming back to enjoy the delights of Fairwood Park. 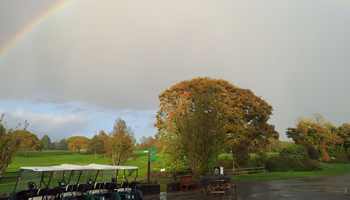 The Welsh PGA was one such group that decided to return, as Fairwood Park was twice chosen to host the Welsh Professional Golf Championships during the 1990s, and today the golf course remains the only one in Swansea to have ever hosted a PGA event. 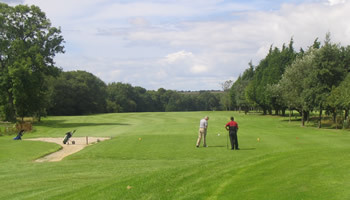 Such an accolade was little more than the club deserved given the remarkable amount of investment that has taken place on the golf course since it was founded in 1969, including the planting of 12,000 new trees, the creation of 5 man-made lakes, and the total redesign of 6 new greens. Most visitors who come to Fairwood Park are eager to share their golfing experiences with their friends and we’re certain that you will too. Just don’t tell too many people about us… like the old RAF base, Fairwood Park still remains one of south Wales’ best kept secrets.